Goat farming is the rearing of different breeds of goats or a single goat breed for commercial purpose,in a confined environment or an expanse of land. It involves rearing of goats for various purposes like, meat, diary production, fiber and others. Agriculture is not only focused on the production and sale of farm crops, animals are also reared, and this sector of agriculture is known as animal husbandry. Now this article is prepared to give you an insight on how to start and run a successful goat farming business in Nigeria or anywhere in the world. just as fish farming, poultry farming and other agribusiness turn in high revenues when executed rightly, goat farming doesn’t just generate a substantial income for investors, it is also a great business opportunity especially for people living in the northern part of Nigeria and India. Modern goat meat production is one that is wildly accepted by all ages, culture, religion, and race. It is available in almost all restaurants and entries, and also served in most parties and functions in different parts of the world, hence the lucrative nature of the business. Diary products like yogurt,cheese,milk butter etc, can be processed from the milk gotten from diary goats, and goat milks are even more digestible than cow milk so it is in high demands in both local and international market and is generating high revenue for goat farmers around the world. While diary production from farm goats milk may be a major buzz in some countries, in several other countries around the world,diary goats are used immensely to fuel their diary needs. Millions of people around the world consume goat meat,and this extremely high demands for goat meat has got different supermarkets and abattoir in countries like India, united kingdom, Australia, America, Nigeria piling goat meat for sell in their shelves. People eat goat meat at home,work, and many other places.when they’re asked for an option of meat,they choose goat meat ahead of other meats. In Nigeria, the level of goat meat consumption is so high because it is served in most parties and sold in restaurants too that even workers look toward to their closing hours so they can rush off to a bar for a plate of goat meat pepper soup meal.this high demand has made the goat meat business flourish in the country. With Nigeria’s population sitting at over 170 million and over 5 million people consuming goat meat everyday, goat farming continues to be an extremely valuable business opportunity for new and existing farmers to venture into. In the same vain, Australia hasn’t just become the largest exporter of live goats and goat products worldwide, but has also created a high business opportunity for goat farmers in the country because of the abundance of goat in the country. And despite the extreme number of goats and goat products exported from Australia yearly to many other countries, the demand for goat meat remains insatiable. No one says no to extra cash and this can easily be gotten by selling goat manure. It is a very good organic fertilizer,and a great source of income. The Black Bengal is a good breed for high quality goat skin.and of course you know that goat skins are used to produce different stuff ranging from our shoes to our hand bangs and to many other things. First of all,you have to make up your mind about what you really want to sell from your goat farm, and you also need to get all the necessary information about how to go about the business, and to know which goat is in high demand in the market so that you can invest wisely and not end up loosing your money. Our Goat Farming Business Plan is written by experts to give you all the information and all you need to know about this business. It is also important to get a farm book guide or video. And you also have to make sure that you have the appropriate vegetation and area of land needed for a successful goat farming. Likewise, it is important that you breed a goat that can be easily sold in a nearby local market so as to avoid the stress of searching for buyers from far places. Try at all times to be as hygienic as possible. This will prevent loss of goats because if they are not properly taken care of,they will suffer from different diseases particularly during gestation. Vaccinate your goats as much as possible. Finally, put your current income and budget in consideration when planning the purchase and rearing of your goats. 1. Nubian Goat – The Nubian goats are a cross breed of Indian and African bucks, and were raised in England. Their milk contains about 4.6% butterfat and so are not considered as heavy producers. These goats are big, graceful, and also known as anglo-nubian. They are always said to be proud of their body structure, because of their Roman nose and long pendulum-like ears.they breed seasonally and can be raised all year round. 2. Nigerian dwarf goat – These are the most common goats in Nigeria, and they are used for different purposes. The Nigerian Dwarf Goat is best used for dairy purposes, but people in Nigeria prefer to use them to prepare meals like pepper soup and other African dishes .Irrespective of their small sizes, the Nigerian Dwarf Goats can produce 3-4 pounds of milk per day. They are the best dairy goats and contain 6.1% butterfat.they can be raised all-year round. Although the Nigerian Dwarf Goats are the best goats for milk production, their maintenance and up-keep cost can skyrock atimes. 3. Lamancha goat – The lamancha goats are medium sized, and have small tiny ears that are either gopher ears or elf ears.these goats are usually found in the United states, but are of Spanish origin, and are veoats. They provide rich diary produce because they have the best diary temperaments. 4. Oberhasil goat – These medium-sized built goats are also known as the “swiss alpine”. They are bay in colour with a lot of black spotting all around their body. The downside of these goats is they cannot be raised all year round and their milk contains 3.6% butterfat. Our sample Goat farming business plan in Nigeria can be used to access bank loans, proposal writing and grant applications. 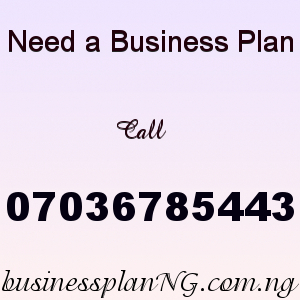 The business plan was complied after a thorough feasibility study on Goat farming business in Nigeria was done.